Dr. Benjamin Philpot’s lab at the University of North Carolina Chapel Hill continues to make headway in identifying drug compounds that may lead to a viable treatment for Angelman syndrome. As announced on Monday, April 29th from the Simons Foundation Autism Research Initiative, this research has found 30 drug compounds that activate the paternal copy of Ube3a in an Angelman syndrome mouse model. This research is ongoing, and was launched by an ASF-funded research grant to Philpot’s lab in 2011 that resulted in the initial research breakthrough that topoisomerase inhibitors may provide a viable treatment for Angelman syndrome. You may read more about this latest research update on SFARI’s website by clicking here. You may also read more about the 2011 research breakthrough by clicking here. The Angelman Syndrome Foundation (ASF) announced today that ASF-funded research has uncovered in more depth how Angelman syndrome, a neurodevelopmental disorder similar to autism, affects specific neurological processes that may be needed for memory and learning. The research, which is being conducted through a scientific collaboration centered at Brown University in Providence, R.I., has also discovered how an existing drug compound may help restore these neurological processes affected by Angelman syndrome. The greater understanding of neuronal communication that was revealed with this research project has positive implications for other Angelman syndrome research projects being conducted among other groups, just as other similar research projects assisted this research team in reaching their discovery. Using an Angelman syndrome mouse model, the research team uncovered a signaling breakdown in Angelman syndrome that provides greater clarification about this specific neuronal function of the brain. There are biochemical pathways stimulated in the typically developing brain, which are an important growth factor in learning processes, that are not fully activated in individuals with Angelman syndrome. The research team believes this is what causes specific, yet undetermined, defects in neuronal communication in the Angelman syndrome brain. The research team also uncovered how an existing drug compound called CN2097, which is believed to also protect neurons under conditions of stroke and in disease states such as multiple sclerosis, can help in correcting the signaling defects in Angelman syndrome. CN2097 is a compound that is unlikely to be used in patients because it breaks down easily within a few hours, meaning that its beneficiary affects may not be long lasting. However, the research team believes it may be possible to alter the chemistry of CN2097 to make it, or some form of it, useful as a treatment. Read more about this research discovery from Brown University. See more information about ASF-funded research. The Angelman Syndrome Foundation’s mission is to advance the awareness and treatment of Angelman syndrome through education and information, research, and support for individuals with Angelman syndrome, their families and other concerned parties. The ASF sponsors Angelman syndrome research through grants to researchers pursuing promising avenues of discovery. Since 1996, the ASF has funded 68 research grants totaling more than $4.8 million. The ASF has awarded a majority of these funds ($4.3 million) beginning in 2005. The Angelman Syndrome Foundation is excited to celebrate the first ever – International Angelman Day on February 15th. To help raise awareness for Angelman syndrome across the world and in your hometown, the ASF has developed a list of 15 simple things you can do to contribute. With your help, we can all give them a reason to smile. Contact a pediatrician in your area and make them aware of AS by sending them a link to the Facts About Angleman Syndrome page and FindtheAngels.org. 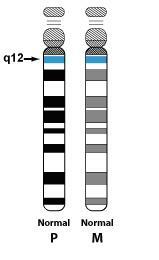 Participate in an Angelman syndrome research study. Register for the ASF Walk and then email your friends to sign up and walk with you, making sure to attach the .pdf of the Facts About AS to give them more information about AS. Ask to present to your child’s school on Friday, February 15—International Angelman Day—to talk about AS. Send a personal letter about Angelman syndrome and International Awareness Day to the editor of your local newspaper. You can request a sample letter from ASF by sending an email to info@angelman.org. Submit your child’s goals and objectives to the ASF Individual Education Plan (IEP) Bank and help other AS families across the globe plan a more meaningful IEP for their student with AS. Contact the therapists, teachers and support workers in your network and tell them about the Series on Angelman Syndrome Behaviors, and how this information can help your child/student with AS. Ask your friends to donate to your personal fundraising page for the ASF Walk. Show your appreciation for ASF-funded researchers by sending a thank you note. Send a Valentine to school, work or church filled with Angelman syndrome facts. You can check out our Pinterest board for ideas. Download the Facts About Angelman Syndrome handout and distribute to individuals who don’t already know about AS, or who ask about your child or AS. Submit a photo from a past ASF event for our Throwback Thursday feature on the ASF Facebook page by emailing us at webmaster@angelman.org. 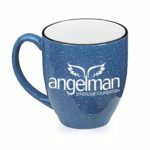 Purchase one of the items available in the ASF store to help promote Angelman syndrome awareness. Download the 2013 conference budget planner and start planning to attend the 2013 Biennial Conference in Orlando, FL on July 23 – 26, 2013. Share FindtheAngels.org with all of your friends and family. The Angelman Syndrome Foundation (ASF) announced today that drug discovery expert and Dart NeuroScience Chief Operating Officer Daniel Harvey, Ph.D., has been selected to serve on the ASF board of directors and chair the ASF Scientific Advisory Committee (SAC). The SAC determines the ASF’s research focus and projects that it will fund to drive breakthroughs in advancing the understanding and treatment of Angelman syndrome, a neurogenetic disorder similar to autism that occurs in one in 15,000 live births. In his role as the SAC chairperson, Harvey will lead a 15-person committee comprised of academic and industry researchers and clinicians and experts in psychology, communications and education that evaluate research proposals submitted to the ASF for funding. In addition to reviewing research that seeks to improve treatments and find a cure for Angelman syndrome, the SAC plays a major role in the ASF’s annual scientific symposium, facilitating connections with researchers and promoting research initiatives. On the ASF’s board of directors, Harvey joins 11 other members, many of whom are parents of individuals with Angelman syndrome. Harvey has been involved with the ASF since his son was diagnosed with Angelman syndrome in 1996. From 1997 to 2001, he was a member of the ASF board of directors, served as vice president from 1997 to 1999, and chaired the SAC from 1999 to 2003. Dr. Charles Williams, who is currently an ASF director, the immediate past SAC chair and a professor of pediatrics and medical genetics at the University of Florida, is a founding member of the ASF. Since ASF’s formation in 1992, he has served in several leadership roles. Williams chaired the SAC from its inception in 1994 until 1999 and again from 2008 to 2012, a time when many ASF-funded projects led to breakthroughs in Angelman syndrome research. Since its formation in 1992, the ASF has funded a diverse set of 66 research projects at more than 37 research institutions. The ASF has awarded $4.6 million in research grants, $4.3 million of which have been granted since 2005. The Angelman Syndrome Foundation’s mission is to advance the awareness and treatment of Angelman syndrome through education and information, research, and support for individuals with Angelman syndrome, their families and other concerned parties. The ASF sponsors Angelman syndrome research through grants to researchers pursuing promising avenues of discovery. Since 1996, the ASF has funded 66 research grants totaling more than $4.6 million. The ASF has awarded a majority of these funds ($4.3 million) beginning in 2005. BOSTON, October 23, 2012 – Massachusetts General Hospital (MGH), MassGeneral Hospital for Children and the Angelman Syndrome Foundation (ASF) announced today the opening of the Angelman Syndrome Clinic, one of only two in the country. The facility—made possible through a partnership between MGH and MassGeneral Hospital for Children and the ASF—is focused on serving the comprehensive medical needs of individuals with Angelman syndrome. With the creation of the clinic, individuals with Angelman syndrome and their families can access multiple subspecialists and a variety of medical resources in one setting, as opposed to visiting multiple locations across the nation. The Angelman Syndrome Clinic is unique as it can leverage the variety of expertise and specialized care available at MGH to help individuals with Angelman syndrome from infancy through adulthood. Occurring in one in 15,000 live births, Angelman syndrome is a congenital disorder often associated with autism that causes severe neurological impairment that appears in newborns and lasts for a lifetime. During fetal development, the loss of function of a particular gene in the brain occurs, resulting in neurons functioning improperly and causing deficits in development. Individuals with Angelman syndrome experience developmental delay, lack of speech, seizures, walking and balance disorders, and typically exhibit a happy demeanor characterized by frequent smiling, laughter and excitability. The purpose of the Angelman Syndrome Clinic is to reduce the frequency and severity of Angelman syndrome symptoms, particularly seizures, and to develop dietary regimens for individuals that further assist in the reduction of symptoms. Furthermore, the clinic has the unique ability to enhance education and learning for individuals with Angelman syndrome, thus helping them achieve their full developmental potential. With the ultimate goal of improving quality of life for individuals with Angelman syndrome, the clinic provides “one-stop-shop” access to a clinical geneticist, neurologist, psychiatrist, psychologist, speech language pathologist, physical/occupational therapist, genetic counselor, social worker, and nutritionist all specializing in Angelman syndrome. Earlier this year, Dr. Thibert announced that a low-glycemic index treatment (LGIT) for individuals with Angelman syndrome has proven successful in significantly reducing seizures by up to 90 percent in most individuals on the diet. Often a life-threatening symptom, this dietary treatment is relatively easy to implement and interferes little, if at all, with other treatments prescribed for other symptoms. The LGIT study was funded in part by the ASF. The Angelman Syndrome Clinic is located at MGH’s main campus at 55 Fruit St., Boston, Mass. 02114. Elias Shaaya is the clinic coordinator and can be reached by contacting patient services coordinator Veronica Robinson at 617-726-6540. For more information about MGH, please visit www.massgeneral.org. The Angelman Syndrome Foundation (ASF) is very excited to announce today that clinical research published in Epilepsia on July 10 has found that a low glycemic index treatment (LGIT) is successful in reducing seizures in individuals with Angelman syndrome. Seizures are a potentially life-threatening symptom that 90 percent of individuals with Angelman syndrome experience and are very difficult to treat. The research, which was funded by the ASF, has widespread, positive implications for the Angelman syndrome community because of the relatively low risk and ease of implementing this type of dietary treatment regimen, particularly compared to other more stringent dietary treatments. The LGIT is a high-fat, limited-carbohydrate diet that was administered to six children with Angelman syndrome, ranging from one to five years of age, for a period of four months. All participants experienced a decrease in seizure frequency, with five of the six exhibiting a more than 80-percent reduction, and all experienced no significant adverse effects. Five of the six participants remained on the LGIT after completion of the trial, and after one year, experienced a 90-percent reduction. A neurologist and dietician conducted clinical examinations before and during the trial, which also included electroencephalography (EEG) and neuropsychological assessments. These assessments also indicated improvement, or a decrease, in seizure activity. The staples of the LGIT diet are meats and cheeses, which provide a higher fat intake and lower carbohydrate intake, as well as select fruits and vegetables. The purpose of the diet is to reduce the total carbohydrate intake and consume carbohydrates that have less sugar, which ultimately helps keep patients’ insulin levels stable and low. The LGIT does not require special preparation of the foods used. The LGIT clinical research study was conducted by Ronald L. Thibert, Heidi H. Pfeifer, Anna M. Larson, Annabel R. Raby, Ashley A. Reynolds, Amy K. Morgan and Elizabeth A. Thiele at the Department of Neurology, Pediatric Epilepsy Program at Massachusetts General Hospital. For more information about this research study, please contact the ASF at info@angelman.org or 800-432-6435, or contact Massachusetts General Hospital’s Pediatric Epilepsy Program. Research published on June 6th in the scientific peer-reviewed journal Neuron has discovered the possible underlying cause of seizures in individuals with Angelman syndrome, a neuro-genetic disorder similar to autism that occurs in one in 15,000 live births. Seizures are a potentially life-threatening symptom that 90 percent of those with Angelman syndrome experience. Funded by the Angelman Syndrome Foundation (ASF), the research was conducted by a team of scientists at the University of North Carolina (UNC) at Chapel Hill. The team’s leader, Ben Philpot, Ph.D., professor of cell and molecular physiology at UNC, was also the research lead on the discovery announced in December 2011 about a potential treatment for Angelman syndrome using drugs currently used in the treatment of cancer. Using electrophysiological methods to record neuronal activity in mice with Angelman syndrome, the team at UNC found defects in the neurotransmitter signals sent from inhibitory neurons to decrease activity in excitatory neurons. A balance between inhibitory and excitatory neurons is essential for proper neuron function, yet individuals with Angelman syndrome experience an imbalanced decrease in both neurons’ activities. However, this research discovered a disproportionately large decrease in inhibition compared to a smaller decrease in excitation, creating a hyper-excitable state that is believed to contribute to seizures in many individuals in Angelman syndrome. This fluctuating, improperly regulated brain activity might also underlie cognitive impairments in Angelman syndrome. Organizations such as the National Institute of Neurological Disorders and Stroke, the Simons Foundation, the National Eye Institute, and the National Institute of Mental Health granted the UNC team additional funds for the project. The research was conducted at UNC’s Carolina Institute for Developmental Disabilities in the Department of Cell and Molecular Physiology by Michael L. Wallace, Alain C. Burette, Richard J. Weinberg and Benjamin D. Philpot, Ph.D. The Angelman Syndrome Foundation’s dedication to research is again today front and center for the Foundation with today’s announcement of the first Joseph E. Wagstaff Postdoctoral Fellowship. Dr. Ian King, University of North Carolina-Chapel Hill, is the first recipient of this prestigious two-year fellowship award. “It is a tremendous honor to be the first recipient of the Wagstaff postdoctoral fellowship and I am extremely grateful to the ASF for this award – it will be a huge boost to our research toward a potential new pharmaceutical treatment for the root cause of AS. Research funds are always scarce, and this generous award puts my work on solid footing for an extended time. It’s really exciting to be involved with a project that has the potential to pioneer a new approach to treating AS, and I’m really pleased that the ASF finds the work we’re doing as exciting and promising as we do” said Dr. Ian King, 2011 Wagstaff Fellowship recipient. All post-doctoral research applications considered for funding by the ASF are reviewed by the ASF Scientific Advisory Committee (SAC). This committee is comprised of researchers, physicians and other professionals from both academia and industry who have expert knowledge on Angelman syndrome. Funding is $55,000 for each of the two years, for a total funding amount of $110,000. “Awarding this first fellowship is an important milestone in ASF’s research funding because the Wagstaff award enables young, talented investigators to work more closely within the sphere of the Angelman community. The Wagstaff award now expands ASF’s research funding to include young as well as established researchers, and new treatment successes for those with Angelman syndrome depends on the work of these committed scientists” said Dr. Charles Williams, ASF SAC Chair. Dr. Joseph E. Wagstaff was a consummate pediatrician, medical geneticist and researcher. As much as anyone in the world, he advanced the scientific understanding of the Angelman syndrome (AS). He also diagnosed and treated scores of children and adults with AS and selflessly gave of his time to provide much needed counsel to their families. Dr. Wagstaff was also an invaluable contributor to the Angelman Syndrome Foundation (ASF) and his work on the Scientific Advisory Committee was instrumental in soliciting and evaluating the high caliber of scientific proposals that ASF and ATRI are proud to fund. Dr. Wagstaff dedicated his life to the benefit and compassionate care of his patients and support of their families. Through the Joseph E. Wagstaff Postdoctoral Fellowship Grant, ASF seeks to honor Dr. Wagstaff’s legacy by supporting clinical and basic science research on the Angelman syndrome. The Joseph E. Wagstaff postdoctoral Fellowship has been fully funded through the generosity of the Schiller Family Foundation. “We see the Joseph E. Wagstaff Postdoctoral Fellowship as a wonderful opportunity to pay tribute to a man whose devotion and commitment to individuals with Angelman syndrome and their families is simply unparalleled”, commented Robert Schiller, President, Schiller Family Foundation. Both Robert and Deborah Schiller felt strongly that the fellowship offers a ground-breaking and new approach that will help the Angelman Syndrome Foundation attract the very best young researchers to the field of AS study. “We value the work being conducted by scientists and believe that by investing in them, we are investing in a future where a cure for Angelman syndrome will be discovered. The Joseph E. Wagstaff Postdoctoral Fellowship offers the perfect vehicle for us to achieve this bold vision,” said Deborah Schiller, Vice President, Schiller Family Foundation. The Canadian Angelman Syndrome Society (CASS) and Angelman Syndrome Foundation (ASF) today formally announce a collaborative research partnership to fund the Expert Panel on Challenging and Difficult to Treat Behaviors in Angelman Syndrome (AS). This collaborative initiative was further strengthened and supported by the generosity of Renee and Fred Pritzker, St. Paul, MN. Evidence-based usage of medication in the AS population and how to evaluate effectiveness. “The Angelman Syndrome Foundation has a long-standing history of funding innovative and provocative research. We have gained phenomenal insights into the causative mechanisms of AS and the function of UBE3A. We are keenly aware of the day-to-day and long-term struggles families and care providers face when dealing with challenging and difficult to treat behaviors. These behaviors do not simply vanish over time. The ASF is pleased to support this collaborative research effort with CASS, and with the support of the Pritzker Family, to be able to equip our families with practical guidelines and techniques to effectively manage behaviors in their individuals with AS. We eagerly look forward to the work and results of this expert panel,” said Eileen Braun, Executive Director, ASF. Research continues to grow and accelerate through the ASF and CASS because of the dedication and support of those who have demonstrated personal and financial commitment to our collaborative research efforts. This is no more readily apparent than by the support of Renee and Fred Pritzker. Their generous gift is dedicated to and is on behalf of their son with AS, Jacob Pritzker. 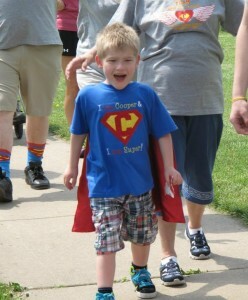 “Jake has taught us most of what we know about the great joy and complexity of loving a person with disabilities. Jake is also a pioneer. He is one of the first students in our school district with significant disabilities to have gone from pre-school to graduation in an inclusive setting. Currently, he holds down two jobs, enjoys a rich social life and has learned to swim (without a floatation device). His growth and development mirrors the progress that scientists have made in unlocking the secrets underlying AS (that will eventually lead to its treatment and cure). But as in any complex endeavor, advancement of knowledge reveals even more complexity and a keener awareness of just how difficult the endeavor will be. CASS and ASF would also like to acknowledge the tremendous effort of one of CASS’s board members, Heidi Blackburn, whose fundraising has largely made this expert behavioral panel possible. Heidi and Alistair Blackburn’s son Callum (AS) is the inspiration for the tremendous effort she puts into fundraising for AS research.